Slow and steady wins the race. I can feel myself getting closer to the surface each week. It's still not easy. There are moments when the process feels indulgent and there are moments when it's really hard. And then, best of all, there are a-ha moments. When something I feel I've played in your head a million times and have every explanation for is cast in a new light. And I suddenly have new fuel for thought. Last weekend, when I said I wasn't going to-do list myself, I slept all day Saturday. And I stopped myself from self-flagellating too much over it. I feel like everything is so heightened right now I just have to let my days unfurl as they will. And though I'm fantasizing (as always) about all kinds of external changes, really it's a more profound change I'm making without changing anything external. And it will be a better foundation for what comes next than I've ever had, I think. Blog love for this week: A lovely wing chair round-up (but the one in this scheme is still on my mind). 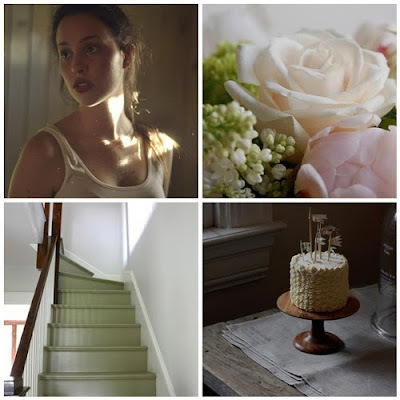 And there's so much loveliness from Maria's blog lately. Can you believe this is the first ever dress Celine made? And you won't be suprised that I loved all of this grey. Sometimes, I think Chelsea and Rita Konig were separated at birth (Exhibit A). While I mentally ordered a half dozen of these prints (but refrained because I have so many unframed prints right now). I decided to take Monday off work, which makes this the longest stretch off work I've had since last October (!) What are you up to? I haven't been reading for a few months. If I'm not happy, I can't read. Because I have to be happy to be consumed. And reading is all-consuming for me. I knew that when I started reading again it would be a good sign. And I tried to force it. But in the end, the book I picked back up was one of the ones I had put down when I couldn't focus my brain on anything but sadness. 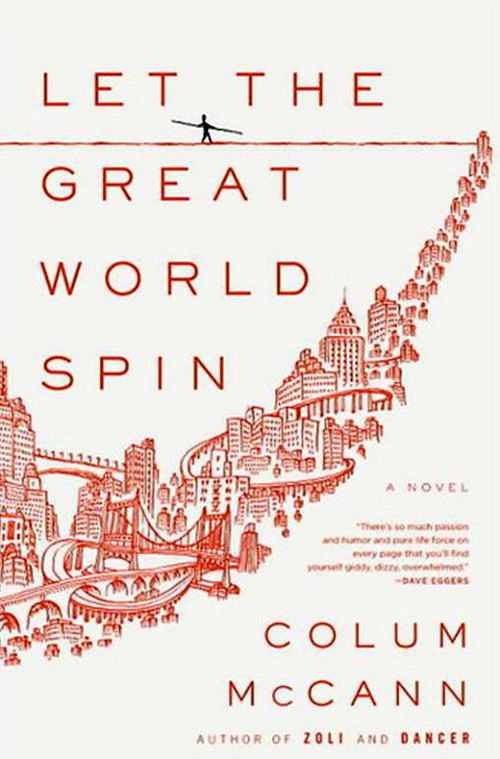 And I'm glad I went back to Let the Great World Spin. Even though I'm a bit tired of that colliding synchronicity method that so many storytellers have used in recent years, I enjoyed this book. Even when it wobbled, I was excited about the words and the turning of the pages. I really didn't appreciate how good it was until I reached the very end and started surveying its great sweep. Though I hope I read better books this year. I'm so excited about David Mitchell's new book. But mostly, I'm glad I'm reading again. P.S. You can shop my bookshelf faves here! 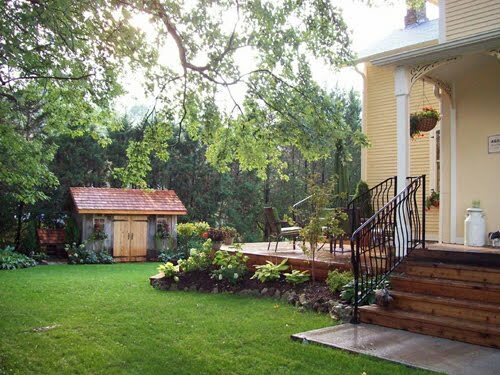 Since posting that cute Cambridge house, I've been thinking about little garden hideaways. 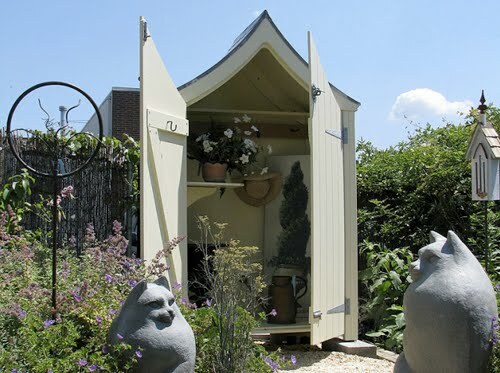 My all-time favourite children's book (Peter and Jane in the Garden) is about a brother and sister who spend a day cleaning up a garden shed and turning it into a playroom. 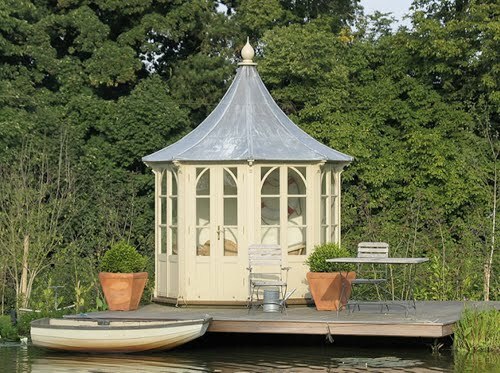 These arbours and gazebos take that fantasy a little further. 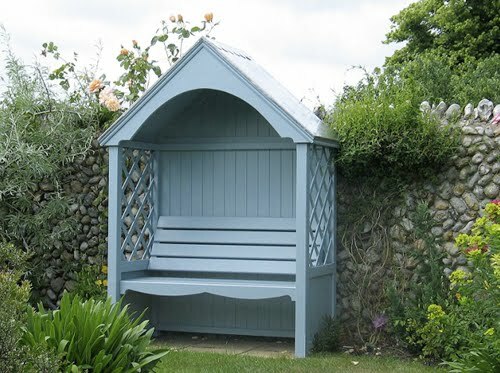 I especially love the little arbour potting shed in the first image! 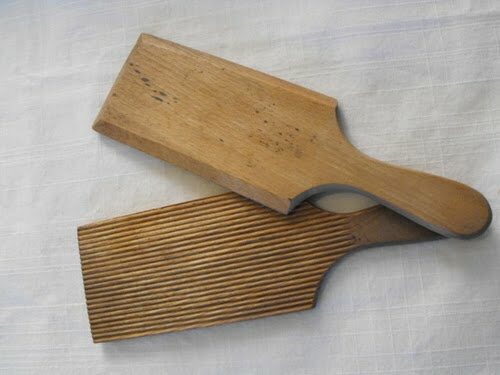 I was just doing what Darina told me when I bought the butter bats. She says "keep an eye out in antique shops and if you find some, snap them up. A good pair will bring you butter luck." 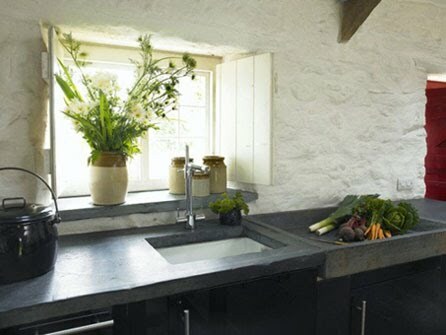 I really would love to try to make butter from scratch! 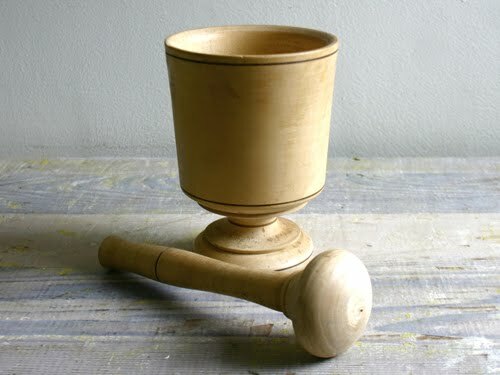 I don't have a pestle and mortar, so that was obviously a must-have. 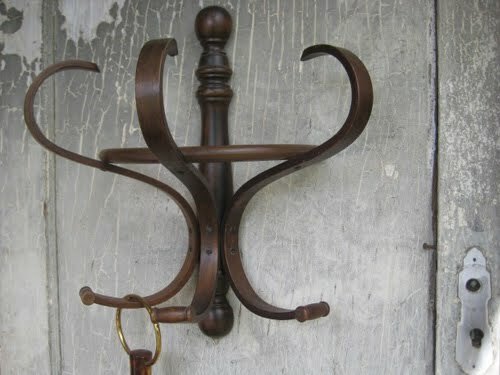 And I'd never seen a wall-mounted bentwood coat rack, so I snapped this up too (it will be perfect for my ridiculous scarf collection). When these all arrive, I'm going to clean them up using this method. I'm so excited!! 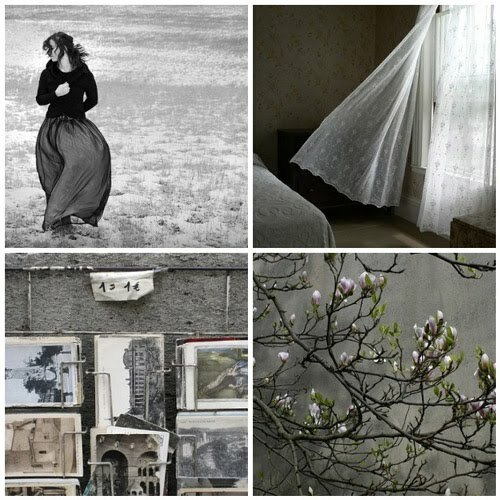 There are some images that perfectly embody a style that you love, beyond the individual objects or furnishings, beyond the paint colour or the architecture. It's that ineffable thing: mood. When it's right, you just know it. And when you see a room that's got it, you want to step inside and make it your home. Some people try way too hard to capture it. And maybe I'm wrong, but I think if you love your space and go slow, it will come to you. You'll get there. 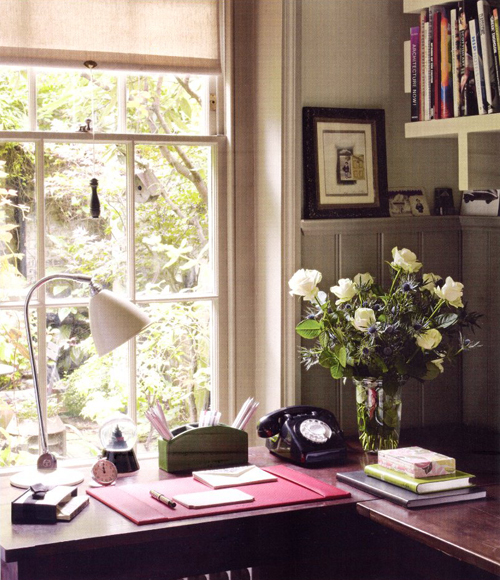 This office space was featured House & Garden (Dec 2009) and I instantly had that visceral reaction to it. I just love everything about it. Photography by Sarah Hogan. 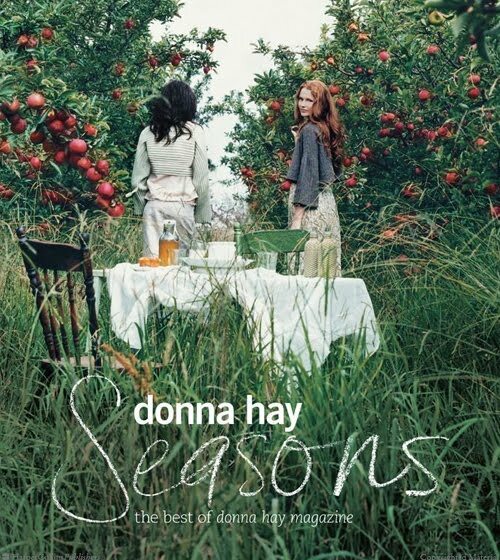 My friend Laura brought Donna Hay Seasons all the way back from Australia for me. I have a few different Donna Hay books, but this is by far my favourite. The styling is a departure from her usual crisp white look. 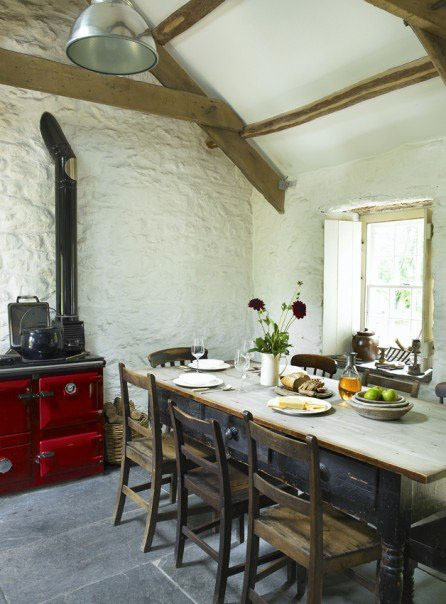 It seems a lot more warm and rustic. But her recipes are as approachable as ever. 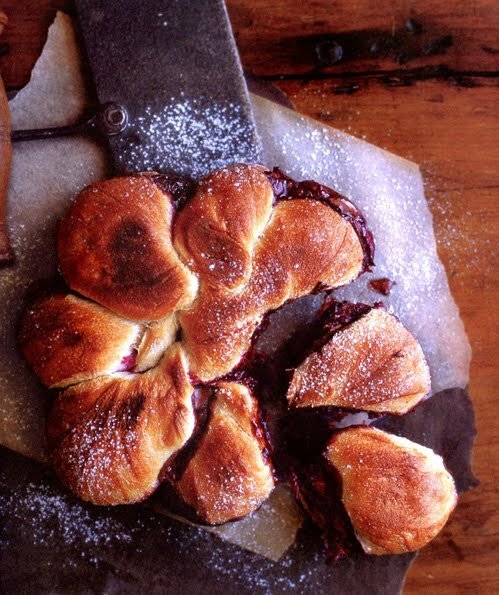 I can't wait to try these raspberry-chocolate squashed pull-aparts. I've said it before, but despite all the reasons I hate Aritzia (no mirrors in changing room, the frustrating lock-your-purse-up policy and teenybopper clientele), I find myself back there every season. And it's usually something from Wilfred that I end up buying. Or their fail-safe leggings. What store do you love to hate to shop at? 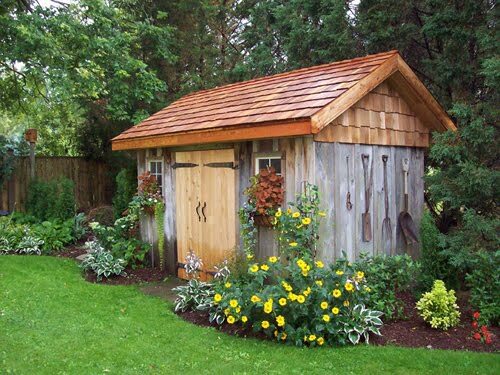 All my fantasies involve some version of a house with a garden and a shed. 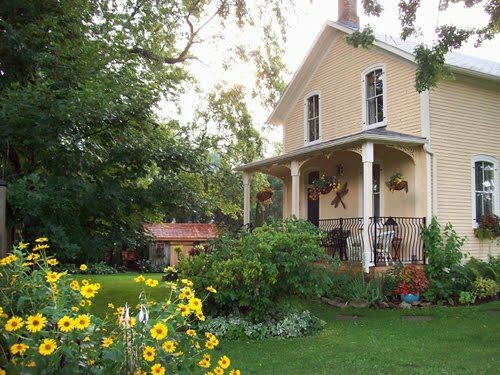 Lately, I've been daydreaming about a little abode outside of Toronto. The countryside to the west of the city is pastoral and lovely. There are adorable Mennonite farmer's markets and antique stores, but it's all still within a stone's throw of Toronto and all I like about it here, including Pearson Intl Airport. 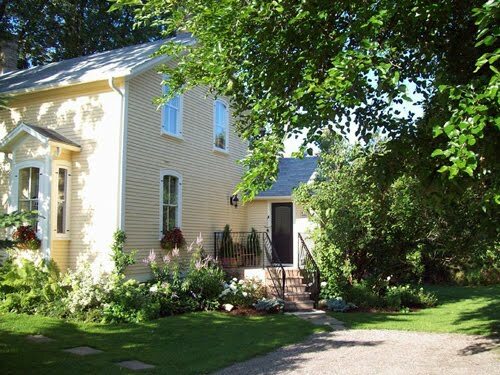 This little house in Cambridge is too cute for words, no? I'm also pretty sweet on this schoolhouse. I'm accepting new sponsors at Ill Seen, Ill Said! Sponsorship rates are ideal for small businesses and artists. Click here or e-mail me at jane[at]janeflanagan[dot]ca for more information. Hello everyone! Welcome to my very first apartment where I blog from in Toronto. Blogging usually occurs at my desk. Most of the time my desk is barely visible under a stack of articles and research, but since I’m on a break from my degree work, it’s nice and clean. At blogging central, my bulletin board keeps track of the photos I have posted or will post. My inspiration fills the notebooks to the left of the computer. I’ve been writing and gluing in them since I was little. My high school inspiration notebook is still one I refer to all the time! Nikole’s (Forty Sixth at Grace) cookie recipes are on my wall. I stuck them up there while writing a particularly difficult paper as motivation to finish. It worked! My table is my second desk. When I really need to spread out, I bring my laptop over. I try to keep my cake plate stocked with treats, like Nikole’s Cloud Cookies; which I did make as soon as my essay was complete. The yellow daisies were an impulse purchase the night I was having a friend over for dinner. I’m always in the process of filling my walls with art. My apartment decor is really a testament to the blogging community. Anabela of Fieldguided introduced me to Sonja Ahlers who makes these gorgeous bunnies. The bunny in the mitten is called a peeper. The joy of having a laptop means the ability to blog from my bed. This requires an elaborate act of balancing the laptop on my knees, but it’s comfy. A stack of books always rests on my nightstand next to my Devil’s Ivy. On the wall above my bed is a drift wood heart made by the lovely couple, Nate and Katie, behind HearBlack Etsy. I just put it up the other day as soon as it came in the mail. The turtle is a My Favorite Dress Etsy creation by Claire aka clumsy bird on flickr. Lastly, this is where I knit and watch the world go by. Thanks, Jane for letting me be a part of “Where we blog from”! 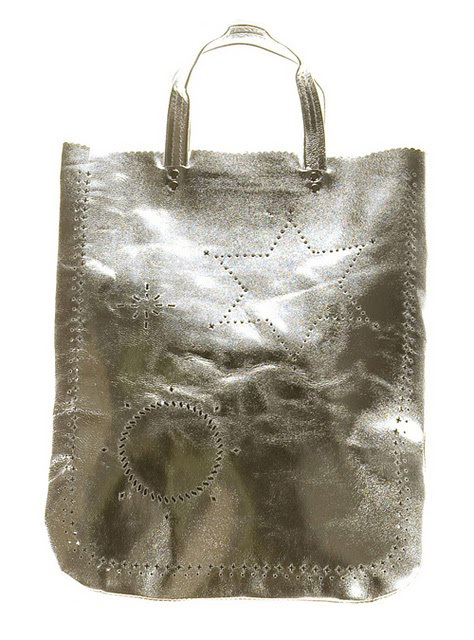 Lovely Laura tipped me off to a new store in her neighbourhood and sent me a link to their store. I simply love these looks and can't wait to wander down and check out Tabula Rasa myself! I'm feeling much, much better this week. I haven't really had any lightning bolts or changed anything major. But I feel better. I do feel my brain wanting the things I learn to yield some kind of to-do list. But I also think that desire is part of the problem. I think too much in terms of giving myself a job to do and living shouldn't be the same as job performance. It's not all roses. I'm still struggling to sleep and I feel my anxiety levels peak way too fast when I'm under pressure, but I'm less fraught than I was two weeks ago and feeling more hopeful about my lot. I've decided not to say no to myself on anything for the next while. It's not like I'm going to go off the rails on some crazy spree or rampage. But if I feel like going out or staying in, like ignoring phonecalls or invitations, like randomly buying something I didn't plan to or like eating cereal for dinner, I'm just letting myself roll with it. All this time, I've been thinking I needed more self-control and awareness and now I'm starting to think I need to let things slide and be kinder to myself. So that's me. I was inspired a lot by Stephanie's post this week. Isn't she a beautiful writer? And I kept going back to read this poem that Eilis posted. Sweet and salty herbed shortbread sounds like something tasty. And these lights are beautiful and simple and perfect. There's good music here and here. And I think I would like a treasure chest too. My only plan for the weekend is to put a roll of Neopan in my k1000 and stroll. What's yours? Have a good one! 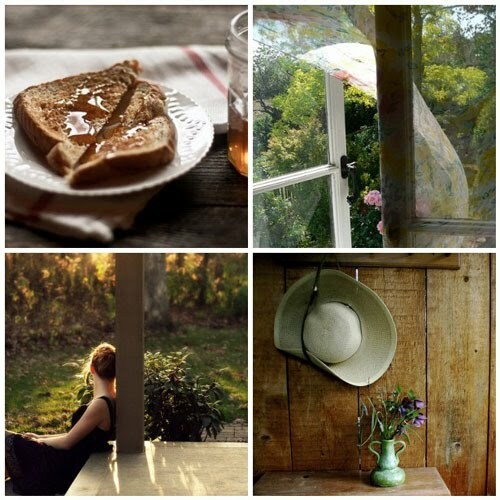 Image credits: 1. rainy day breakfast, 2. Untitled, 3. I'll taste the sky and feel alive again., 4. 9 april. 2 pm. I think on the weekend, I'll go shopping for some tunic-style dresses that I can wear with long, light cardis and leggings all summer long. I love this one from Under Ligne. 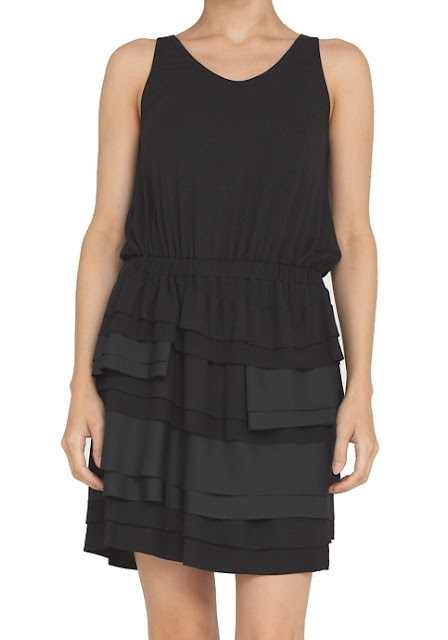 I thought I was over ruffles, but around the hem and in black seems just the right amount of pretty without any of the fuss. I'm seeing a few nice things online right now, but I haven't tried on clothes in a while and it's always good to force yourself back into the changing room to properly look at how clothes are looking on yourself... if that makes any sense? I was out walking last night and thinking about photography and the place I used to go in my head when I took my old k1000 out for a walk. I started missing the slowness of film. How it taught me patience and to live with uncertainty. With digital, I'm so focused on the result, on the image on the screen, on capturing what I need to and moving on and capturing something else. When I got home, I dug out my old darkroom portfolio and then I pulled my favourite photography books off my shelves. As I looked through them, I realized that I've lost something I used to love about myself. I think I've lost lots of little things that I used to love about myself in the last 5 years, really. Have you? And when I looked through my Francesca Woodman book, I remembered vividly looking at this photograph at an exhibition in Dublin and not only loving it, but being excited to buy film and shoot pictures all day long. Can you believe this photograph was taken in 1979? I've been thinking a lot about failing to give utterance to things that are the most important. I think this failure is necessary. Maybe one of the beauties is knowing you are trying to do something impossible. And though 28 is a good few years behind me, the haphazard coherence of Self-Portrait At 28 by David Berman really struck me. This is just wee excerpt, click here to read the whole thing. And buy David Berman's book here. "Madison Avenue" anymore. Have they moved? I was looking at my closet over the weekend and I think I'm in one of those places where I don't want any fancy dresses or frilly blouses. I want perfect uniform pieces: Jeans and sweaters and tees. Ones that fit me perfectly and that I feel comfortable in. I love these looks from Brochu Walker (see Facebook page here). 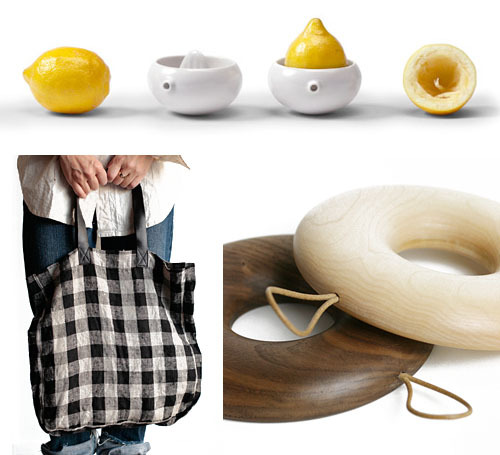 These pieces are perfect in their everyday simplicity. 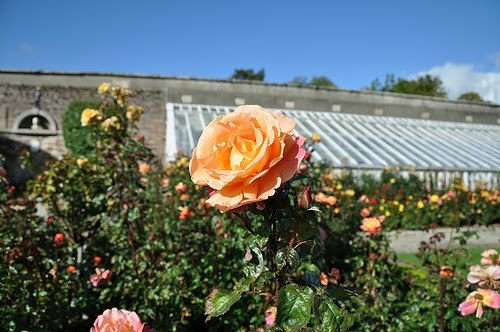 We always had roses in our gardens when I was little. Mum would prune them back hard each Fall and come Spring, Dad would manure them. 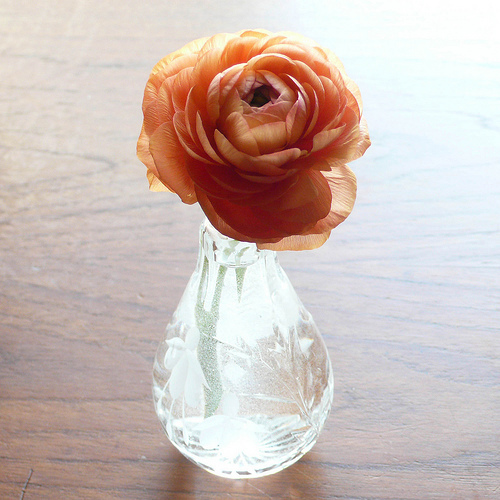 My sister and I went through a phase of crushing petals to try to make perfume (did all little girls do this?) They're not the prettiest of shrubs. But, to me, no garden is complete without roses. These are some pictures I took last October in Powerscourt Gardens. See more pictures here. 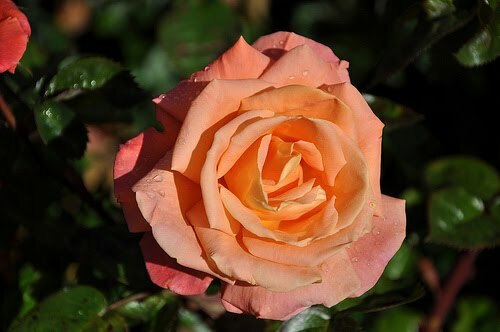 I love looking at David Austin Roses for inspiration and daydreams. 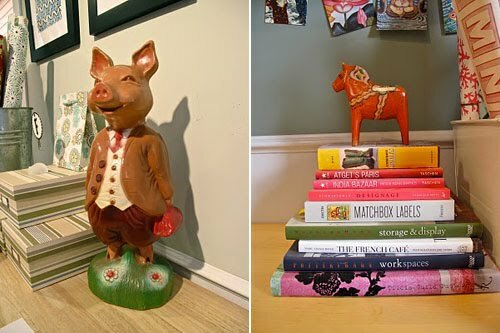 And, on a completely unrelated topic, if you're local for more colourful eye candy, check out my ReadyMade post today! 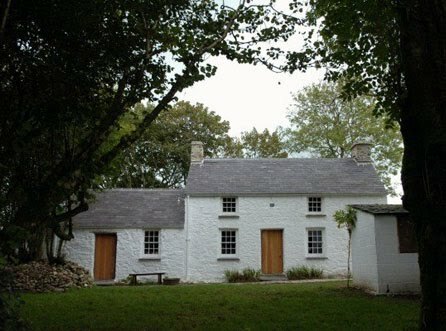 We spent some summer holidays in Wales when I was growing up and I loved it there. When Katy recently blogged that she was thinking of spending a summer there, my heart leaped a little. 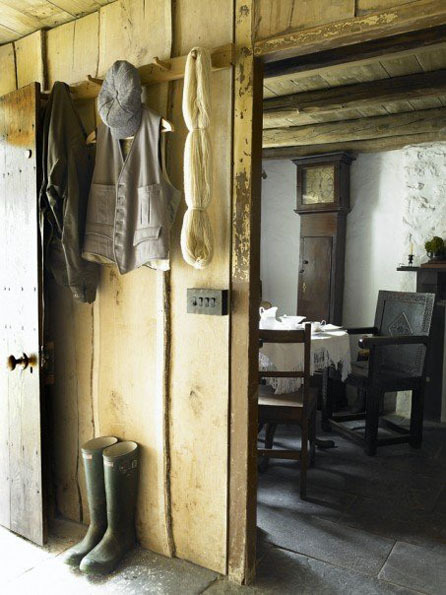 And then I was browsing an old World of Interiors and came across this cottage. 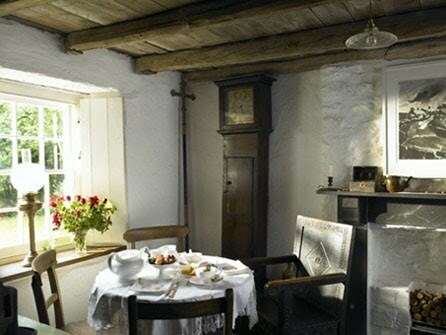 The website Under the Thatch has so many lovely cottages. I would love to escape to one! 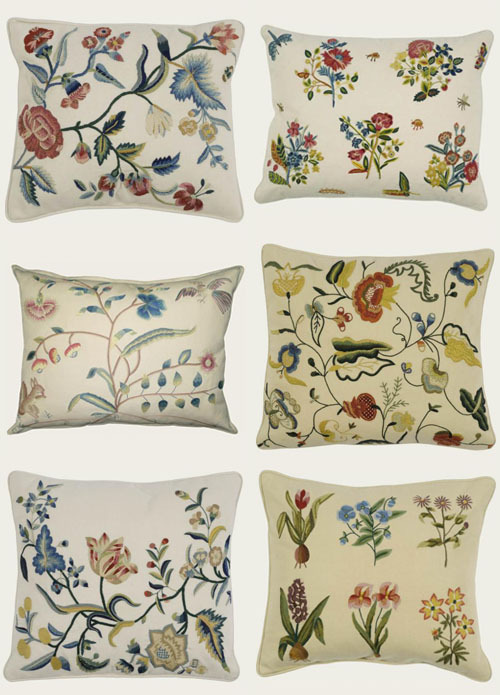 I love these cushions from divine company Chelsea Textiles. I'm not usually into looks this traditional, but one of these on a cozy armchair would be perfection in my book. Where do I blog from? Well, pretty much from the middle of nowhere. 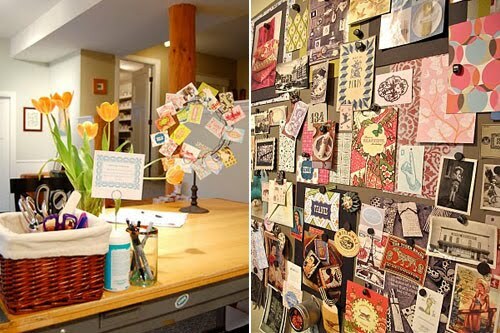 The Cartolina studios are located in Nelson British Columbia which is in a fairly remote area of South East BC. 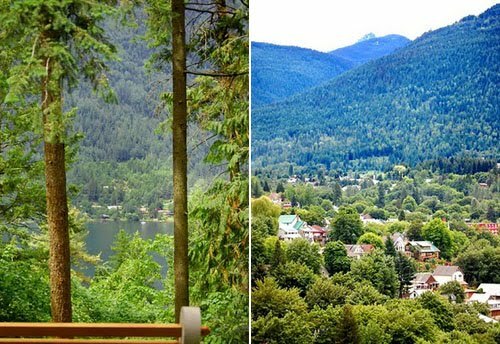 Nelson's a small ski town on the edge of Kootenay Lake. We are an 8 hr drive to Vancouver. If you'd like to know more about Nelson you can read the guest post that I did for Poppytalk a couple of years ago. I like people to know where we are located because I think reflects in my work - and my work includes blogging! 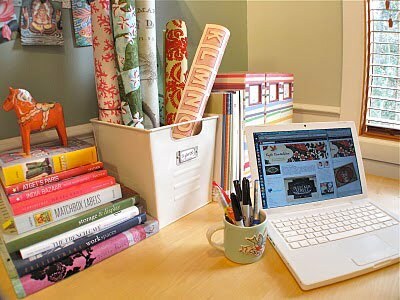 I blog on my laptop so that I can work either in the studio or at home at the dining room table. If I've had a long day at work then I take it home with me! 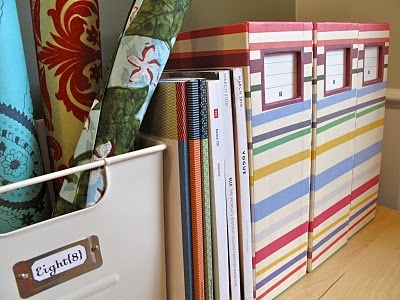 The studio is filled with paper stuff and books and magazines. I have a long work table with my big Mac system that I use for designing at one end and then this little blogging space by the window at the other. I use the laptop for all my accounting, inventory and blogging. It's a MacBook and I love how small it is - I like to take it with me when we travel to shows etc so that I can blog on the road. 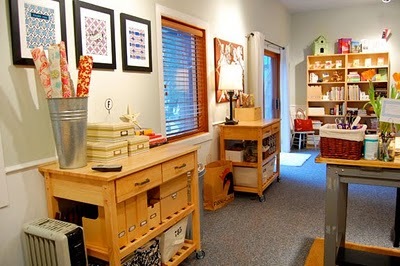 The studio is quite big with an office at one end, a washroom at the other and the stock room is a couple of steps up. The ceilings are very high and we have log posts (because we live in the mountains!) It's a great space to work in. Everything is very organized. 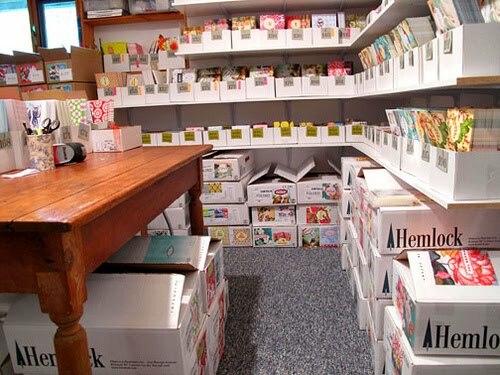 I use a clip board system to organize buyers info and below is the stock room - there are probably more than half a million cards in there! So it has to stay very organized. I can't work or blog in a messy space. I blog everyday, at the end of the day. I don't preplan any of my posts - they are literally whatever catches my eye at that moment. I've blogged before about Humanoid (here), so was sooo excited today to click over to their site and see there's a webstore coming soon. I'm hoping they expand to serve North America quickly! 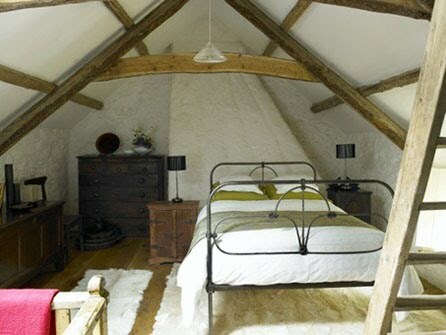 I'm rethinking my bedroom scheme... Not entirely, just a few softening touches. 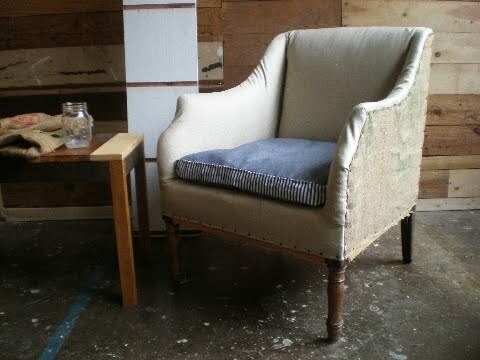 I would love to find a chair like this one from Nightwood in Toronto. Anybody got any source recommendations? I'm thinking Commute might have something, but am coming up short on other alternatives. A few weeks ago I saw this post on Design*Sponge. And I think you know me well enough to know I hate reposting stuff that's blazing around the blogosphere like wildfire. 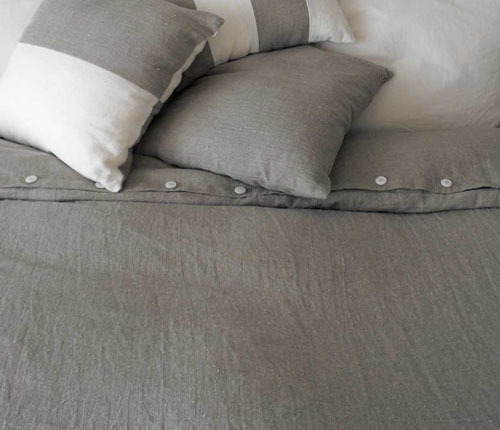 But I'm still thinking about Rough Linen, so I'm posting this as much for myself as for you. Another Friday, another pause to reflect. My week was okay, I had some low moments. And I realized that my mood is wholly different on the weekends. Not just a better mood, but wanting entirely different things; even my daydreams and wishlists change. For instance, all week, I sit in my suburban cubicle and positively ache for the sea. And then on the weekend, when I'm downtown and out and about, even working in a cafe, I fantasize about staying in the city, staying close to Europe and just traveling more. This all means that I'm mistrustful of myself all week, holding my breath to see how it all pans out come the weekend. But that's no way to live, weekend to weekend. And, in case you haven't noticed, weekends are just too short. I just feel like I'm settling into myself and coming up with some clear ideas and it's Monday again and I'm back into a downward spiral, wishing to be far, far away and an entirely different person. My weekend plans? Need I say I have work to do? Also, I'm going to try not to put the nice things on a to-do list and set about buying flowers and reading books as if I'm on a mission to make myself a happy person. I'm going to try to go out and enjoy the world without having a reason for going out. Planning to do something unplanned is self-negating, but it would be nice if something unplanned came along. What are you up to? Hope you have a lovely weekend.